Just around the corner from Prospect, on Fourth, a carriage house is going down. It's right next to Prospect Auto Glass, and abuts the five/six building parcel I mentioned in my last post. I'm always sad to see a fine old building like this one turn first into a shell, and then disappear entirely. 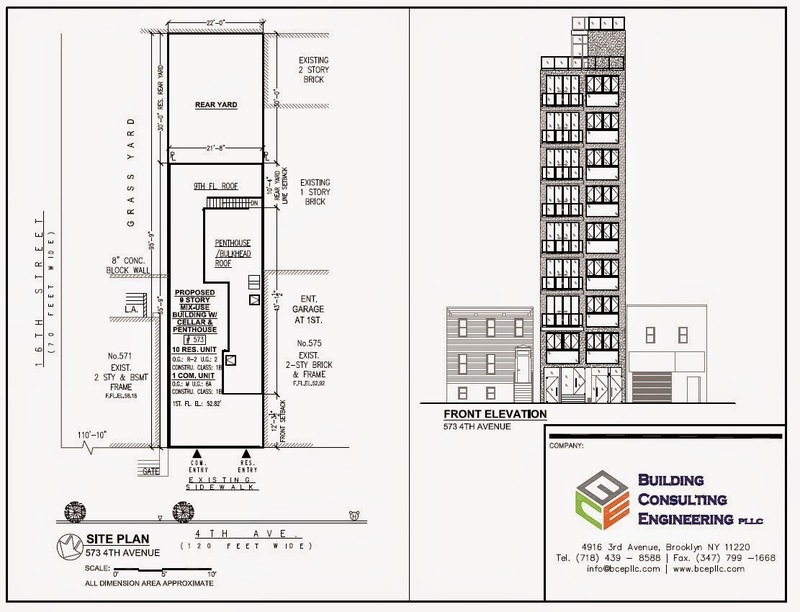 573 sold four years ago for $900,000, and it's taken a long time to get this project going, but it looks like things are finally moving along for a nine-storey plus penthouse replacement building. 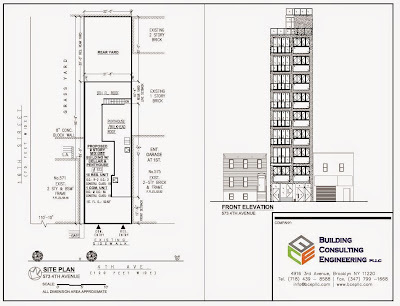 You can see a plan here, which shows the scale of a tall and skinny structure on a 22 foot lot, towering high above its neighbors. Another sign of our ever onward-and-upward Fourth. October, 2014.